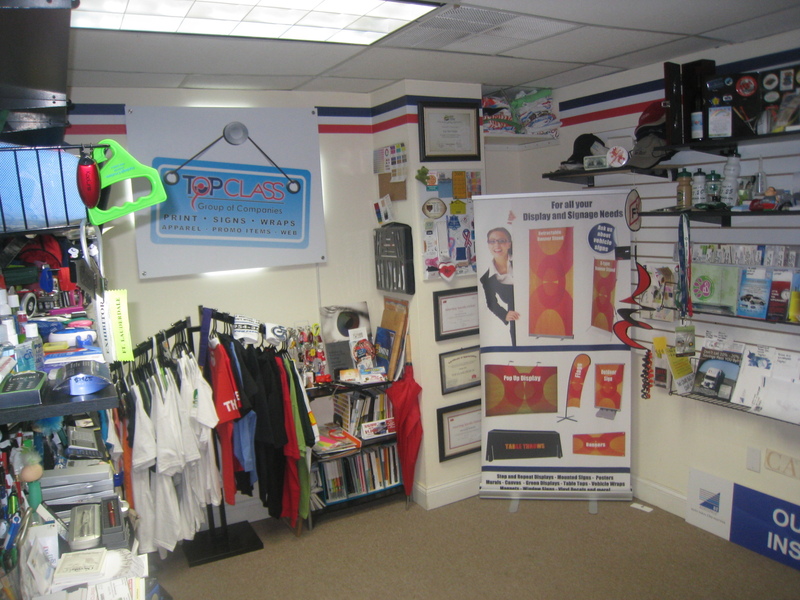 Top Class Designs & Marketing’s open house and networking event on Tuesday July 27th was a total success. Hosted by owners Christopher Rismay and his wife Capucine, it was sponsored by the 2500 Building. The event was well attended, among its participants were councilman Prospero G. Herrera and Frank Siberio from the Doral Relay for Life. The family owned business has specialized in printing and marketing for many years and has recently expanded their location in response to their growing clientele. The Top Class Family can help you advertise your business and set you apart from the competition by providing you with unique corporate identity, printing services, custom logo apparel, web development, logoed promotional items and customize, with your logo, practically any piece to brand your business. All attendees gathered to network and celebrate the opening of the newly expanded show room. There were giveaways being passed out and appetizers and drinks were being served. It was overall an outstanding and memorable event! Top Class Designs and Marketing Sponsors “The Patently Impossible Project” It’s Summer Time, It’s Hot! Why Not Give Away Flip Flops?